Belfast-headquartered agri nutrition company Devenish is investing in future talent through two initiatives one aimed at training graduates and one at supporting PhD students in their research. 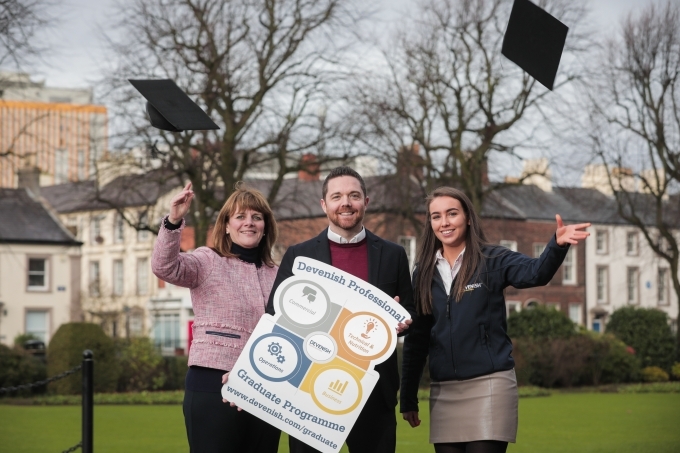 The Devenish Professional Graduate Programme will be the company's largest ever intake of graduates. Now open for applications, it will bring up to 11 graduates into the company to specialise in one of four development pathways: Business Services, Commercial, Operations, Technical and Nutrition. The closing date for applications is Friday 8th March 2019. The programme will operate in Devenish's sites across Northern Ireland and Great Britain; including A-One Feed Supplements in North Yorkshire and Hi-Peak Organic Feeds in Sheffield. Graduates may also be given opportunities to gain international experience at the company's other sites including Turkey, Africa and the US. After two years, successful candidates will be offered a permanent role within the company. In addition, Devenish will soon launch a Doctorate bursary programme in partnership with Queen's University Belfast (QUB). The programme will see Devenish support a number of PhD students each year, providing a year-long placement within the company during the course of their research. "Devenish is built on innovation and by helping identify and nurture the careers of talented graduates and PhD students, we are not only enriching their future careers, but also investing in the future of our business." Devenish is an innovative, independent, international agri technology company. It combines science, technology and innovation to support food production systems that improve performance and create value. Devenish trades in over 30 countries, specialising in optimising nutrient use across the food chain, in order to proactively improve human health and the environment. It develops and delivers sustainable and innovative nutritional products and solutions for the feed industry, the food industry and for human health. Headquartered in Belfast, Devenish has manufacturing sites across Ireland, the UK, USA, Turkey and Uganda, as well as offices in UAE, Uganda, Mexico, Philippines, Dominican Republic and India.